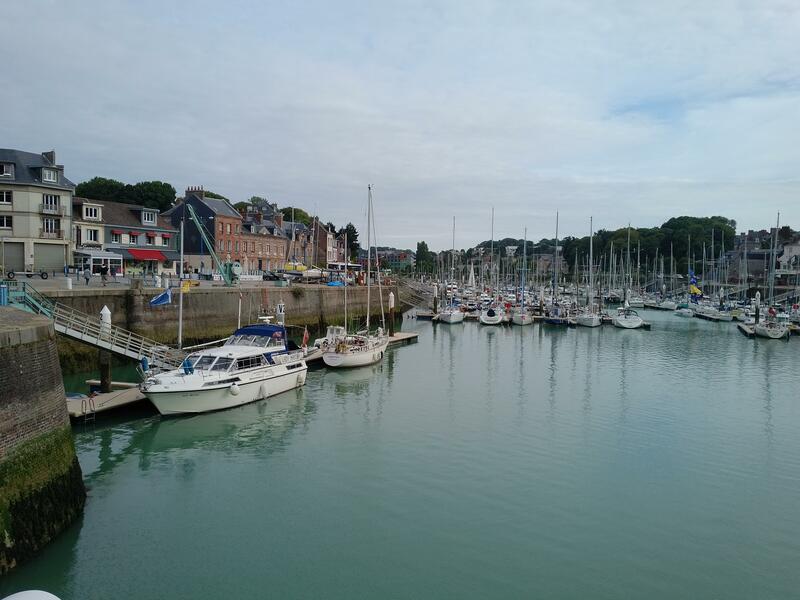 A well-timed cruise from Fecamp to St Valery en Caux after a lock delay and disquiet on board. I had been frustrated by the absolute lack of connectivity by use of the harbour Wi-fi or the Vodafone/SFR data sharing facility which was probably due to the very busy traffic on this Bastille Day weekend. I was up early and made my way over to the Tourism Office and used the speed of their Internet and the comfort of their accommodation to put in a good two hours of work on my cruise preparation and cruising web site updates. I had thus checked all of the maritime weather web sites and concluded that, though today would not be perfect with winds to the upper end of F4, it would be with the strong tide and so would leave the seas state manageable. We were given to believe that the barrier would be opening around 2pm today local time but it was around 2.30pm before it did so. 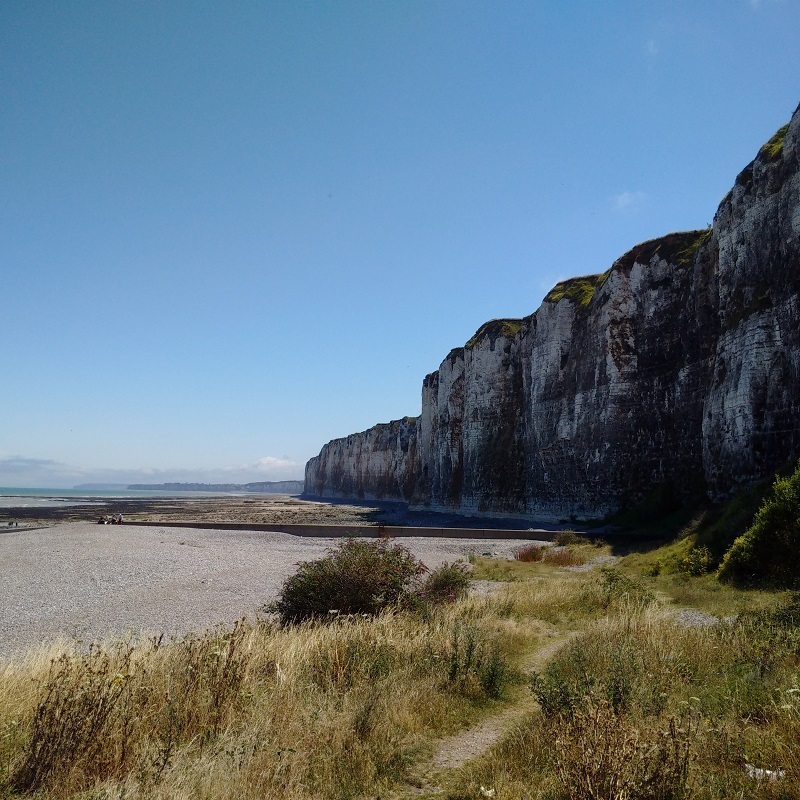 I had been getting quite confused when adjusting for French time and French Summer time and the CA/Imray index was pointing me to the Calais rather than the Dieppe Standard Port tide reference page. However, later on, when I had a chance to study the whole situation properly, I concluded that 2.30pm was indeed the time I should expect the gate to open and our cruise to proceed! 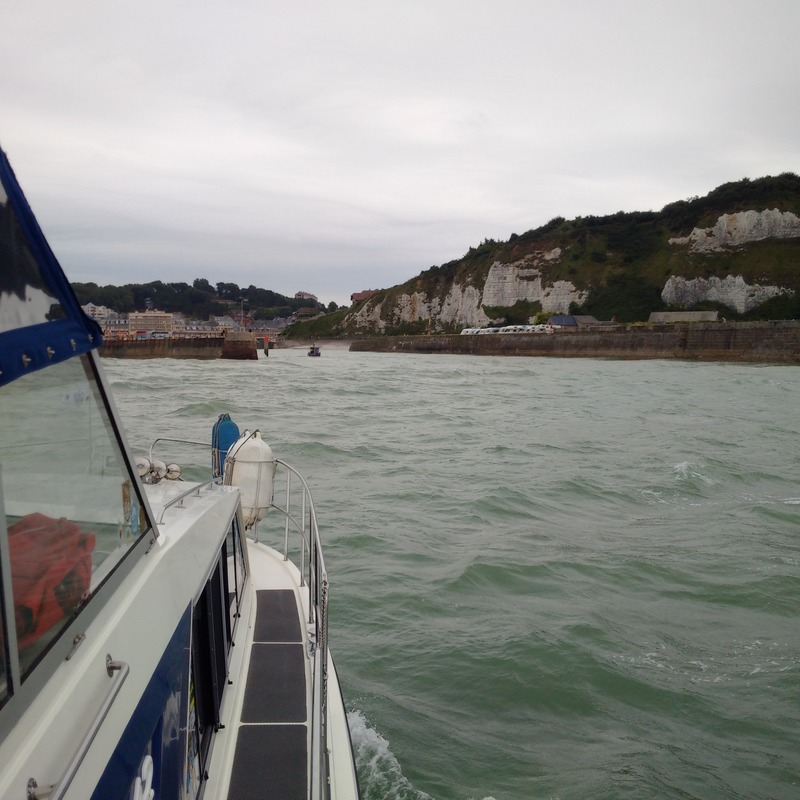 I made slight increase from 6 to 7 knots for our speed and that still got us to St Valery en Caux 40mins before their High Tide and well within the times for the tidal gate to be opened for us to enter upon arrival. We had to wait until the 5pm bridge lift (as they operate on the hour and half hour during the tidal window) but the bridge controller had replied with that information on VHF Ch9 and so I was well aware and could tie up and wait. He waved us to the Eastern visitor’s pontoon V2 and we could tie up with space to spare alongside and our voyage was completed. As we settled in, we could hear the sound of live outside music and so I took a walk and learnt that there were still some chops open and the organisers were conducting a sound check for a big open-air festival of music from local performers. We were back later to enjoy the free show!